The ashes has reached a crescendo and the talking can stop as the fifth and final test is almost upon us. I can hardly wait, but I’m not sure if I really want to look. For fans of both sides nerves will be jangling as the series is finely in the balance at 1-1 after 4 test matches and this has to be seen as the ideal advert for test cricket. I am getting more nervous as I write about it and this is sure to make or break the future of English cricket in my opinion and which way it will go, god only knows. The upper hand is obviously with the Australian camp after they demolished the English inside 3 days at Headingley ten days ago by an innings and 80 runs. The momentum has proven to count for very little thus far in this series as the team who has saved a test has usually gone on to excel in the following test match. I want to be optimistic but when it comes to my teams in the sporting world I am an eternal pessimist. Can England win? At this moment in time I very much doubt it. Many aspects are counting against the England team and in favour of the Australian side. 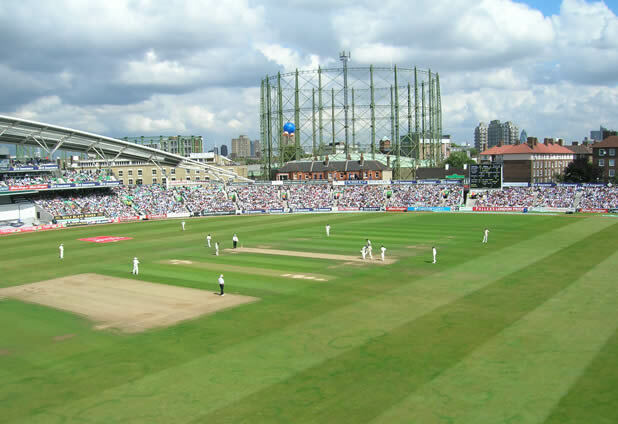 Firstly the test venue; The Brit Oval, proving to be a draw specialist venue this season in the county championship with 4 of the 6 matches ending in a draw. In terms of an ashes venue England have won 15 tests with Australia winning just 6 and an amazing 13 draws at the Oval with 8 of those draws coming in the last 14 tests played at this venue. Secondly; the Australians are full of confidence, they have a fully fit squad to pick from for the first time in the series and Ricky Ponting will be determined to join a list of greats as an overseas ashes winning captain. I would expect an unchanged team but if the pitch offers turn then Nathan Hauritz will be in at the expense of Stuart Clark. Finally as for England, who knows, they really have put the barmy army through the mill again in this series. I expect two changes to the team from Headingley. Obviously Jonathon Trott will make his test debut but the bowling attack needs freshening up, I would go for Ryan Sidebottam but it will be Freddie returning at the expense of Onions or Harmison. I predict a draw and for Australia to retain the ashes, the pessimist in me just hopes England can put up a fight and not fall apart from a series that has shown glimpses of hard work, effort and commitment to the cause. I hope for an English win as well as Cricket to be the winner and both teams to play to win. P.s. Well done to Berlin for hosting a fantastic World Athletic Championships as well as a well done to the BBC for providing brilliant coverage yet again. Keep up the good work and if you haven’t yet, then check out the coverage!